I had never heard of a “stripping shampoo” until recently, when I was venting to a girlfriend about how my hair felt bogged down with product residue and completely lackluster. The way my hair looks—the shine, the color, the style—is important to me, as it is for most of us girls. Not only does hair frame our faces, but it’s also one of the first features people see upon meeting us as it borders our eyes, smile, and all other facial features. So when my hair is looking anything but thick, healthy and shiny, I start asking for any advice I can get to transform it into those dream hair commercial locks we all strive for. What is a stripping shampoo? A stripping or clarifying shampoo is a once-a-week rinse that works to strip your hair of product residue, buildup, gunk and any other toxins our hair absorbs from the environment. It also helps to remove grease and leftover oils that may be sticking around from heavy conditioners, leave-in conditioners or after shower oils. These moisturizing products are great, but they can weigh your hair down and coat it with residual oils after time. Clarifying shampoos will rinse these out, leaving your hair feeling squeaky clean, stronger and shinier. Why do I need to use one? Even if you aren’t a hair product junkie, anyone’s hair follicles can absorb chemicals from the environment, grease, dirt, product residue, and everything in between, over time. 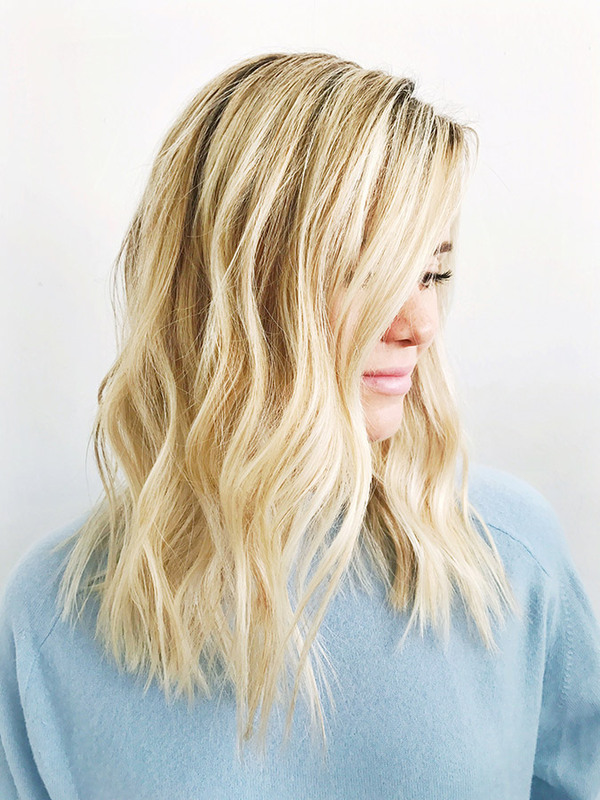 Using a clarifying rinse or stripping shampoo once a week will ensure that your hair is as clean as can be, and it will keep it feeling lightweight and healthy. Personally, I thought I rarely used products on my hair—just a simple after-shower oil and dry shampoo a few days a week. But dry shampoo can build up and turn what were once glossy hair strands into dull, dry locks. A general rule of thumb is to use a clarifying shampoo once a week. If you have super dry hair, you’ll want to use less frequently, as the objective of a clarifying shampoo is to cleanse, not moisturize. If you use heavy conditioners and moisturizing creams on your hair often, stick to rinsing with a stripping shampoo once a week. Here are five products I’d recommend trying, and why. Note that not all of the products below are good for color-treated hair, but some are. Be sure to read about each one and make sure it will be right for you before adding to your cart! My favorite clarifying rinse, and the one I’ve been using for the past four weeks, is the ACV Rinse from DP Due. It’s unlike anything I’ve ever put on my hair before—it’s a thinner liquid than most shampoos, and the bottle tip lets me apply the product all throughout my hair. I massaged into my scalp for about two minutes, and let it sit for another five. After rinsing, my hair immediately felt stronger, softer and squeaky clean. The bottle recommends to use it as a replacement for both shampoo and conditioner, but since I have blonde hair, I like to use a light conditioner on my ends for a minute or two after. This product has a color locking technology and is safe for color treated hair. I have not tried this shampoo, but have heard amazing things about it. 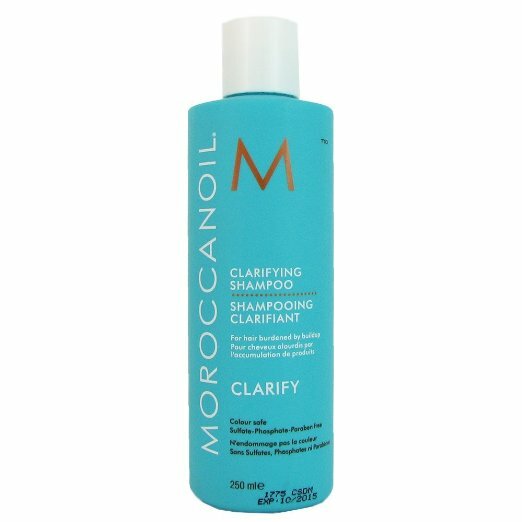 Made with essential oils that help to rid hair of product buildup, this clarifying shampoo cleanses the hair and scalp while restoring moisture and balance to the hair’s texture. 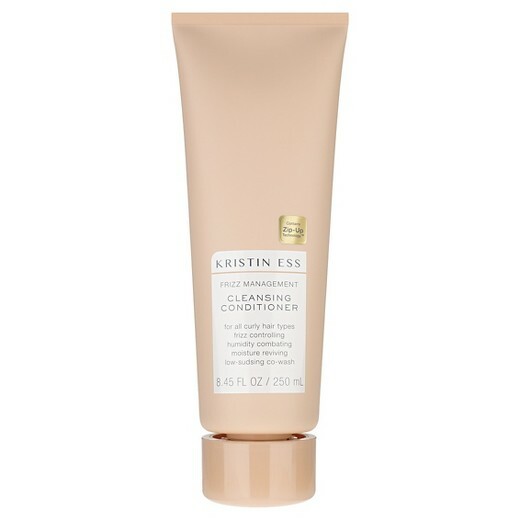 While it works with color treated hair, it is recommended to use right before going to the salon for the best results. Blondes and hair color fanatics: rejoice! 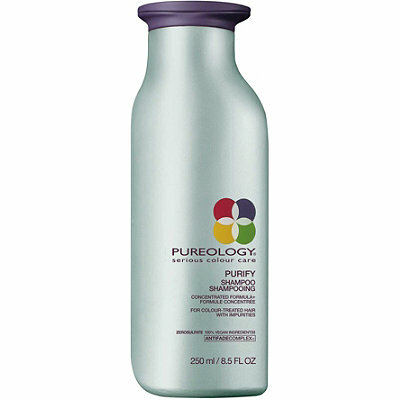 This purifying shampoo is ideal if you’re wanting to keep your color intact between appointments and cleanse your hair of regular buildup too. The formula of this shampoo is rich, sulfate-free and works to remove hard water minerals and product gunk from your hair, while locking in your vibrant salon color at the same time. While I have not tried this product, it comes highly recommended. 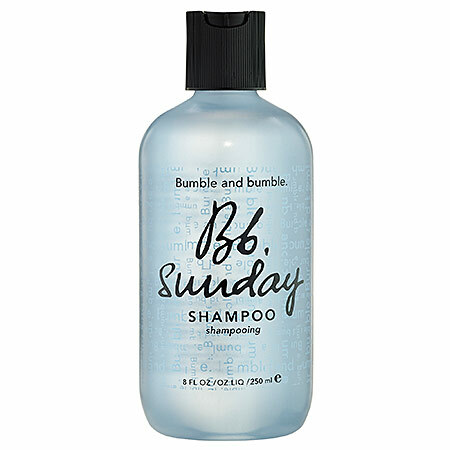 Bumble and Bumble’s Sunday Shampoo works as a weekly deep cleanser for hair that is subjected to tons of product use, pollutant buildup, hard water minerals, and chlorine. Use in place of your regular shampoo once a week to revive dull locks and promote your scalp’s natural detoxification process. This product is not safe for color treated hair. Okay, so this one might not technically be a shampoo. But it works magic in terms of combating humidity, keeping strands moisturized, and doing away with unwanted oils and build up. Use it as you would a normal shampoo, working it into the roots for about a minute. Let it sit on your ends while you do this to give them moisture but cleanse at the same time. This product works well with curly hair, but it smells so good that even I had add it to my collection (and my hair is bone-straight). This product is safe for color treated hair. What did it do for your hair? 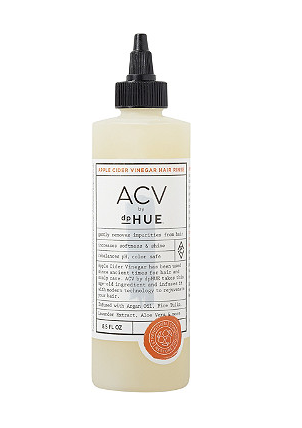 After just the first time of using the DP Hue ACV Rinse, I noticed my hair felt thicker and shinier. Whereas before my hair would feel delicate and stretchy when I would brush it after showering (blondes, you may relate to this feeling), after using this rinse it felt stronger. It was almost like the cuticle of my hair was saying “Thank you for letting me breathe again!” The first time I used it, the difference was more subtle, but after four weeks, I’ve noticed much more strength and shininess to my hair. Using a stripping shampoo once a week also allows my conditioner and after shower oils to sink in better—I know this because my hair feels softer as well. In short, it was the solution I was looking for. Have you ever tried a stripping rinse or shampoo? What results did you see? And is there a stripping shampoo you would recommend? Let me know in the comments below. I’d really love to hear your own experiences and find out what products work for you.